The New St. Martin’s lofts …..
Charing Cross Road in central London is still painted red with passing buses. 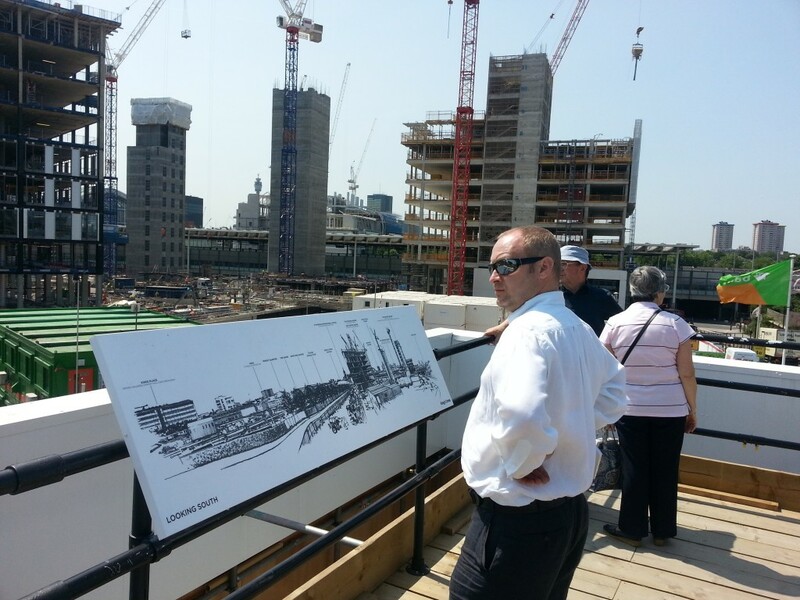 Whilst there, I saw a notice: ‘The New St. Martin’s Lofts’. Advertising yet more ‘luxury apartments’. These dwellings are being built in the shell of what was the old St. Martin’s School of Art and College for the Distributive Trades. 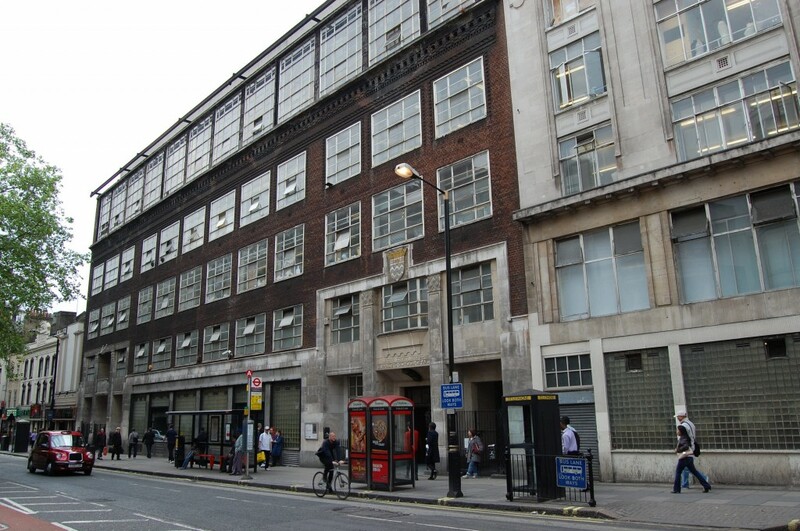 Once a fine example of post-war London vernacular (pictured below, courtesy J. Wakeling plc), the building is to be flogged off and those lucky enough to purchase a lease will gain entry to what was one of the Western World’s most famous Art Schools, not for three or four years as was the case, more like 100 – entirely on the merits of wonga, not creative skills. 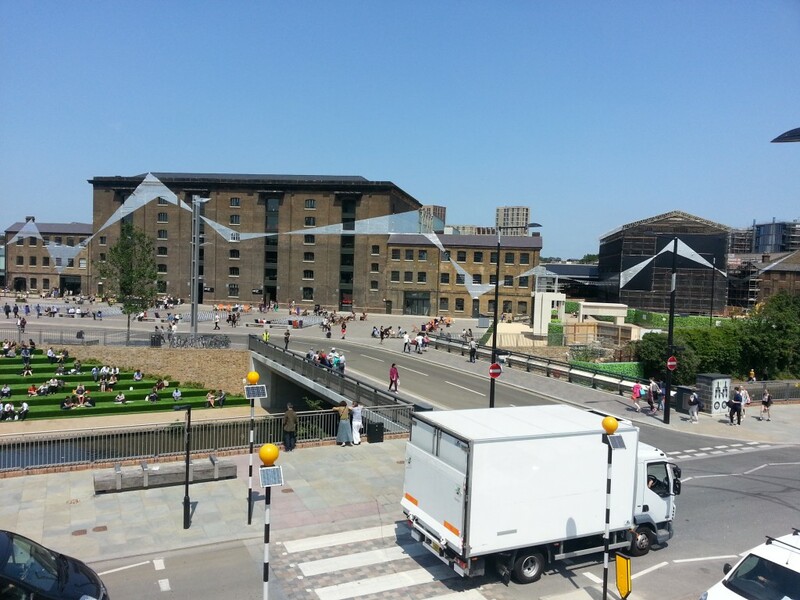 No doubt a great deal of expertise was used in making the decisions which led to the relocation of ‘Central-St. Martins’ to the Kings Cross area. The result of Conservative policies during the 1980’s – St. Martin’s lost it’s individual kudos and was amalgamated with Central School of Art. Streamlining the Leftist largesse of the 70’s. But these days it is obvious what a mistake that was. The prog-rock band ‘Genesis’ made an album called ‘Selling England by the Pound’ in genteel response to the trend we have invoked in Britain to flog off the family silver, mother and all. Keeping namesakes such as St. Martin’s School of Art – dear Business men and women governing the affairs of this country, is something which should have been given more thought. Never mind eh? You can still charge a fortune for that je ne sais quoi characteristic of brands like St. Martin’s – but will students ever again meet up for sexual favours in the library (originally part of Foyles Book Shop) as was the custom in the 1960’s? Will they look out over Soho roof-tops as they sip coffee, pausing in polo-necked sweaters to smoke before resuming their studies? (Carlisle Street courtesy J. Wakeling plc) as did the likes of Frank Auerbach and Leon Kossof, I doubt it. Nor will Mervyn Africa play his bush instruments in the hall to an audience of middle-class Bohemians. You can swank about Kings Cross all you like, but it will never be the same as catching a glimpse of Lucien Freud in ‘the French House’ after a hard day’s Art School. The landlord of ‘the Coach & Horses’ was so skilled at serving customers – a dying breed – and Geoff still hasn’t bin in. For sleaze you could while away more than a lunch hour in ‘The Spice of Life’ or watch students hang out of an upper storey window in ‘The Cambridge’. After nightfall you might attend a gig at ‘the Marquee’ (literally next door) and share a table with complete strangers in ‘La Centrale’. No more. 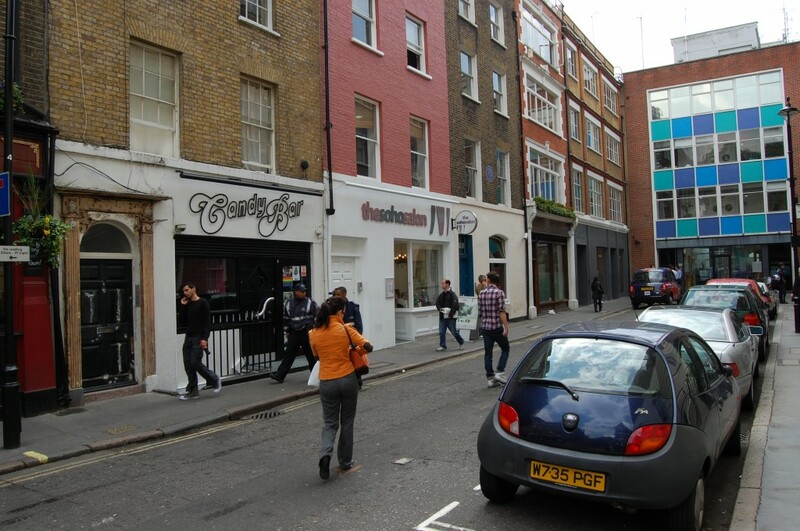 You’ll need a business plan to get into Central-St.Martins (an ugly conjugation, greedily designed to catch all, like those disclaimers read out after adverts) and you’d better not waste any time drinking or experimenting with drugs. Tut tut. The newly fitted buildings in Kings Cross will at least provide more of a ‘campus’ for students. They looked alright in the July sunshine, the zig-zag of reflective material on the outer walls reminded me of battleship camouflage or that logo you see on the collars of Waffen SS. It was a bit tacky to be frank, looked as if someone had been let loose with some Baco-foil !